Nelson Mandela passed away yesterday (Dec 5) and I was informed of this death as fittingly I was talking about the effects of racism in our society with a group of young adults involved in a program called Mission Year. As has been and will be repeated many times over the next few days, the world has lost one of the 20th century’s great leaders. 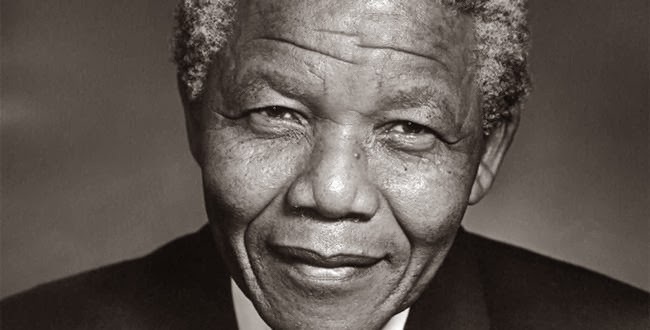 In a fortuitous timing the movie, “Mandela” was just recently released; hopefully this sad event will entice even more persons to see the movie, a tribute to one of history’s great individuals. On a hot summer day in 1993 Nelson Mandela came to Philadelphia to receive the Medal of Freedom along with F. W. de Klerk, the last president of the apartheid regime in South African with whom Mandela had negotiated the transition to full enfranchisement of the black people of that nation. My family and I took the train Philadelphia to see the ceremony, which was held on the steps of Independence Hall. My children ages 9, 6 and 3 at the time, may not remember that day, but it was important to me that they have an opportunity to see and participate in history. We were not able to get very close to the front as there were thousands of people of all races and colors on the mall that day – a fitting tribute to Mandela, an icon of racial reconciliation. Despite the heat and the crowds the kids did not complain or whine as might have been expected; it’s as if they sensed something important was going on. Both de Klerk and Mandela spoke briefly that day. They did not seem comfortable with each other and in fact in his autobiography Mandela acknowledged his dislike and distrust of de Klerk. Even from a distance de Klerk himself looked uneasy receiving the award. It was as if he resented having been forced into a position of acceding power and prestige to Mandela. In releasing Mandela from jail de Klerk and the white government had hoped to manipulate him into supporting the continuance of the white apartheid government, but Mandela had out maneuvered them and used his public power to force them to dismantle the regime. By contrast on that day Nelson Mandela seemed to glow in the spotlight of the new hour, but not only for himself but for all of Africa. Many observers, friends, and associates of Mandela have commented on his incredible humility, most clearly evidenced in his resignation from South African’s presidency after only one term. I sensed his humility that day as well. As I mentioned above, when I heard of his death I was talking with some young adults about racism in our society, and in my talk I stressed that racism is like a powerful drug to which we all became addicted the moment we are born into this society. That is, the ubiquitous nature of racism is so pervasive in our culture and social system that we can not avoid being influenced and shaped by it. While we may be able to curb our language and our actions so as to be civil, our media and social, political and economic structures operate continue to privilege the white and the wealthy and the expense of people of color and the poor. Unless we choose to actively work against these effects – be it unearned privilege for the white and wealthy, or destructive self-negation for the poor and people of color – we just will go along supporting a system benefits the few and the expense of the many. 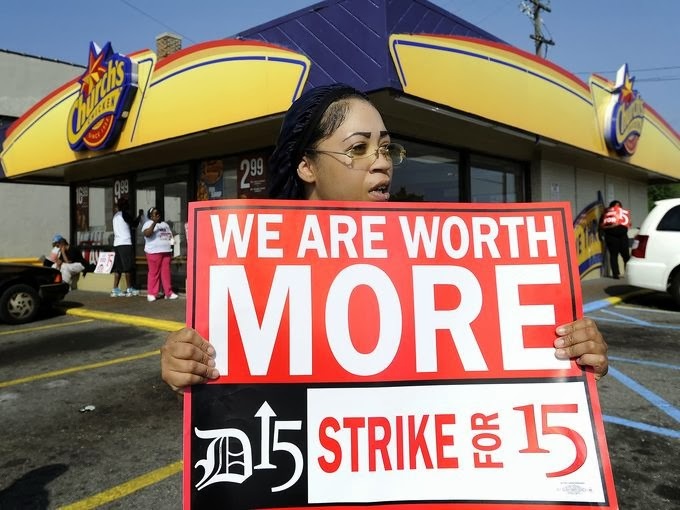 How fitting that yesterday on the same day of Mandela’s death that fast food workers across the country were engaged in an organized protest demanding the minimum wage be raised from $7.25/hour to a more livable wage. When people can work a full time job and not be able to make an adequate living and the CEOs of those same companies get bonuses on top of their multi-million dollar salaries, there is something horribly wrong in a broken and unjust economic system. I told the young adults that we are living in dynamic times, where within the next 30 years the racial make-up of this country will change so that no racial group will comprise more than 50% of the population. I challenged and encouraged them to be part of creating a equitable, multi-racial democratic society by continuing to face-up to the racism in their own lives and challenge and change the racist structures of our society. One woman did not share my hope fearing that our society would become even more divided; I acknowledge that I too shared her fear. Yet I suggested we must choose to live in hope, and live into the future we hope to create. What we face in our time might have seemed small to the black people of South Africa during the decades leading up to 1991 when Mandela was released. Despite being confined for decades to a jail cell, Mandela never gave up hope, and never stopped believing in the power of truth and justice to have the last word. As a Christian I find hope in my faith that tells me that “God gives strength to the weary and increases the power of the weak” (Isaiah 40.29). Mandela’s story, like so many other champions of justice, reminds us that tyranny and oppression sow the seeds of their own destruction, and it is up to the committed and the faithful to work toward building the just society. So I mourn Nelson Mandela’s passing, but celebrate his life and cherish the legacy that continues to guide and inspire me to work for the just society everyone deserves.